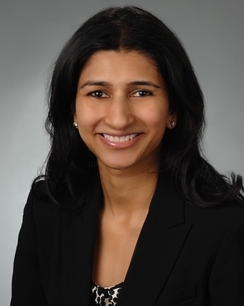 Smita Mokshagundam is a partner with Hinkhouse Williams Walsh LLP. Smita's primary area of practice is insurance coverage litigation with a specialty in construction failure coverage litigation. Her representative cases involve multi-million dollar construction projects. She has experience with environmental, breach of fiduciary duty, products liability and toxic tort claims. She represents her insurance company clients in state and federal courts throughout the country. She has successfully resolved many high-profile construction defect matters in private mediation and arbitration proceedings. She also provides risk management and coverage advice. She is also called upon to defend her clients in insurance bad faith litigation. Smita has built long-term relationships with leading insurance companies and represented those same clients for over a decade. Hinkhouse Williams Walsh LLP is pleased to announce that Smita Mokshagundam has been elected partner of the firm effective January 1, 2016.